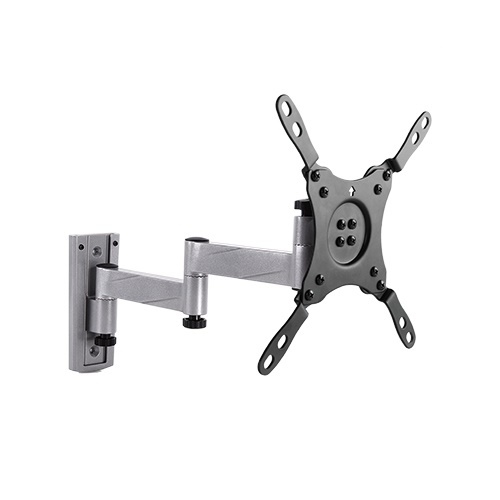 The LDA18-222 is an articulating wall mount for 13"-42" flat-panel TVs up to 15kg/33lbs. 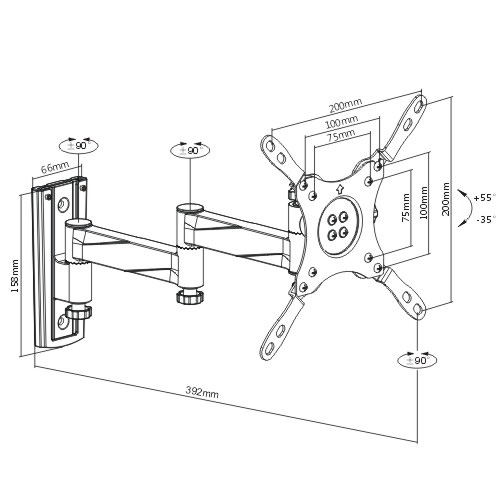 With enhanced fixing structure, it can be widely applied in an RV, Motor Home and Caravan where a TV needs to be protected from damage while travelling. Full motion allows maximum flexibility — tilt, swivel and extend your TV up to 390mm from the wall in every direction for easy viewing and also can be folded when not in use for saving space. In-arm cable clip routes cable for a clean appearance. 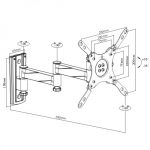 Slide-in wall plate ensures easy installation. VESA-compatible fits 75x75, 100x100, 200x100 and 200x200 hole patterns. • Suggested Screen Size: 13"-42"